"Oh Hosterwitz, oh peace!" 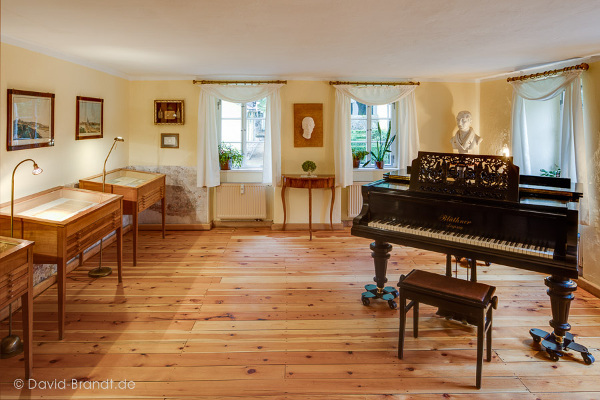 A visit to the Carl Maria von Weber Museum in Dresden-Hosterwitz lends itself to an extensive musical walk. 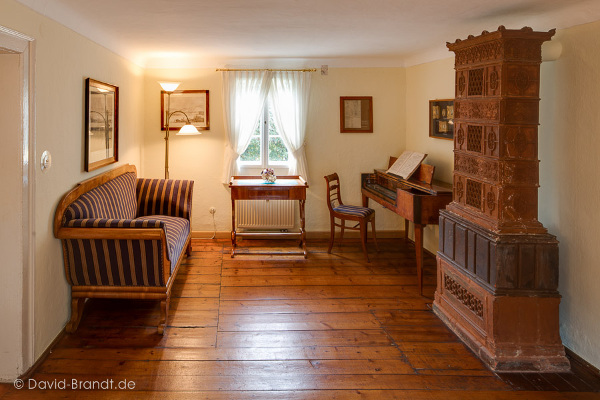 The composer and his wife discovered this typical Saxon winegrower's inn on a walk in the spring of 1818. Here the court music director spent the warmer season of the years 1818/19 as well as 1822 to 1824 with his family. He called these times the happiest of his life. Large parts of the “Freischuetz,” the “Euryanthe,” the first oulines of “Oberon,” as well as the “Invitation to the Dance” originated in this idyllic location. These he is said to have performed for the first time publicly on the piano in the nearby and romantically situated Kepp mill, a favorite destination of Weber's. 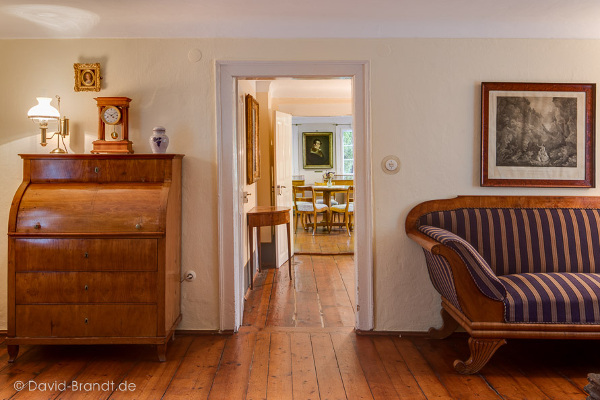 In this house, C. M. v. Weber received Louis Spohr, Johann Nepomuk Hummel, Heinrich Marschner, Ludwig Tieck, Jean Paul, and Wilhelmine Schroeder-Devrient, among others. Letters, musical manuscripts and documents as facsimiles, a larger portrait collection of Weber's family as well as furniture from the time period can be seen. Concerts, or musical-literary events occur on a regular basis, also outdoors under appropriate weather conditions.